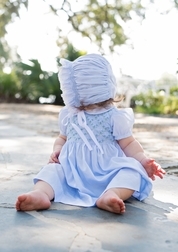 Beautiful dress in blue by Feltman Brothers. 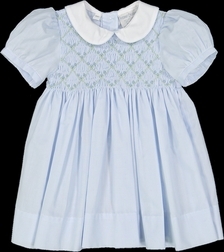 It is made in the float style with a white Peter Pan collar. 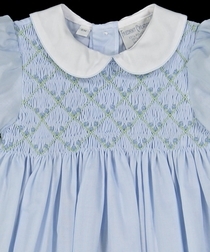 The chest of the dress is entirely smocked in a diamond pattern with pink bullions.